Everyone looks forward to the holiday season. It’s a time filled with good cheer, family gatherings, and general merriment. However, all this joy can easily turn to tragedy if drivers are not careful. Studies show that traffic deaths spike every year during the holidays – especially those related to drunk driving. To make matters worse, the number of alcohol-related driving fatalities has only gone up in recent years. 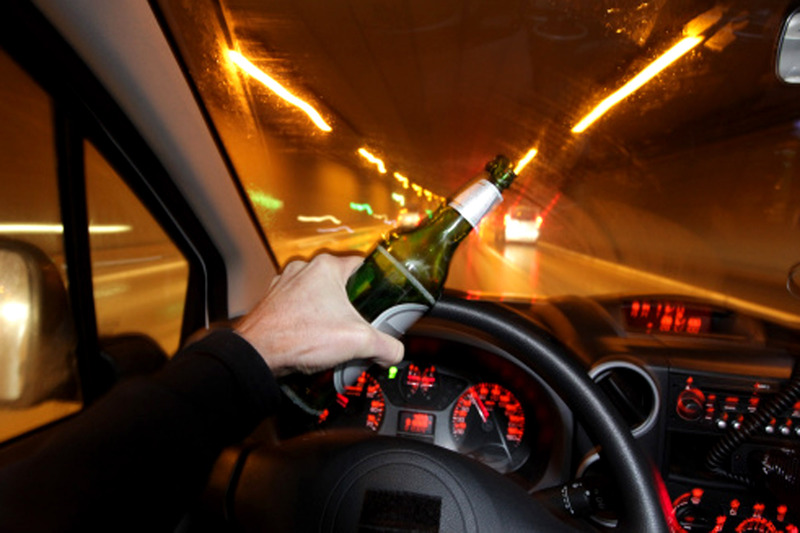 Statistics show that 4 in 10 highway deaths during the holiday season are a result of drunk or impaired driving. The officials who track these numbers are appalled by how bad the situation has become. They point to single day counts such News Year’s Day 2013, which recorded an astounding 140 deaths from alcohol related crashes alone. The problem is at least getting more attention now; December has been declared “National Impaired Driving Prevention Month”. However, it will take more than awareness-raising efforts to curb this disturbing trend. Melissa Haislip, pictured with her parents. While the act of driving drunk is widely condemned, its equally dangerous cousin, distracted driving, is too often overlooked. Consuming alcohol limits response time and impairs judgement, but distracted driving takes the eyes of the driver off the road entirely. With the explosion of mobile apps, games, texting, and other distractions, more drivers than ever are struggling to pay attention to where they are going. This is incredibly hazardous – especially when driving at high speeds. If a car is going 60 mph, for example, it will travel the length of a football field in a matter of seconds. All it takes is one moment of inattention or distraction to cause a tragedy. The holiday season can prove exceptionally perilous because the weather is usually bad, people are in a rush, and there is lots of activity on the road. If you plan to consume alcohol, have a designated driver or plan to call a cab or ride service to get home. Don’t drink and drive. Don’t be afraid to turn off your phone while you’re on the road. At the very least, turn off notifications while using your GPS. Let your passengers do some of the work. A passenger can find the right station on the radio, send a text for you, or check your notifications. Be organized when you’re on the road. Set your GPS device before you take off. Know where your exit is. Use your voice commands and Bluetooth as little as necessary. How many times have you gotten in a car with someone who has been drinking? Have you ever said anything? Passive questions such as, “hey, are you sure you’re OK to drive?” do not count. Have you ever really said something? All too often, people are afraid to speak up for fear of being labeled a buzzkill, a worrywart, or a party-pooper. Hindsight, as they say, is 20/20 – any passenger who has been in a crash because the driver was drunk will tell you their biggest regret was not speaking up. This instinct is understandable. No one wants to be the bad guy. If taking a stand was easy, more people would surely do it. Plus, peer pressure usually makes the situation worse. When you’re the only other person in the vehicle, you will probably speak up for your own safety. However, when the car is full of people, this responsibility is diffused – making it less likely the driver will be confronted. If one person decides not to say something, others generally follow their lead. We need to recognize this phenomenon and break the cycle of refusing to step up when we see a bad situation. We encourage you to make responsible choices, both for yourself and for others, to ensure the roads are safe this holiday season. Everyone needs to be able to get home safe to their loved ones. Do you have any experience with the dangers of drunk driving? What would you say to someone who insists that it’s not a big deal? I have first hand knowledge of drunk driving I’ve been arrested 3 times, served a total of 120 days behind bars, served 3 years probation and paid out over $4,000.00 in fines and legal fees, it is an epidemic especially around the holidays which is when I used to do my heavy drinking. I’m not proud of the fact that I drank and drove but to my credit the only cars I wrecked were my own and I never hurt another human being, though I did wind up in the hospital myself. Driving WHILE drinking is endemic in the deep South of the U.S., where I live. Guys take a few EXTRA beers from the cooler in back of the pickup “for the road.” And they have already made it through much of a case. In the afternoon. The beer and ice go in the cooler in the morning, and drinking is ALL DAY. Not just a few, but pretty much everyone driving these country roads. Most of them drive very slowly, so they don’t get pulled over and have to pass a breathalizer. They believe that the drunker they are, the slower they will drive and it will make up for the impairment. What nobody is talking about is the other drugs, especially pot or oxy or other “medications” with alcohol that are abused, and create even more danger. I am pleased that Paul is honest about his former problems, because he can use his history in his ministry to help talk to people about impaired driving without being seen as a “buzzkill” or “preaching down” to people. Thanks Paul, for being brave. I hope you use this experience to help others. I am glad this website brings up these issues, because it is up to us to help prevent impaired driving accidents–we literally have the pulpit. AND, after all, it is WE who must minister to the bereaved family and friends as well. I’ve been affected in several ways. A drunk driver ran a red light and hit my prized classic Mustang. But that’s just money. My cousin, an avid bicyclist, knew a woman who was hit and killed by a drunk driver. He organized an annual benefit ride for Mothers Against Drunk Driving in her honor. One year he was planning out a route on a little motorbike when he was hit and killed by a drunk driver. He left a widow and child. The judge who administered my oath for admission to the state bar was killed by a drunk driver who was going the wrong way on the freeway. I’m a legal aid lawyer. Much of my practice is representing victims of domestic violence. Alcohol is an ingredient in much of the violent behavior. Abuse of it tears families apart. My father was a devoted surgeon. Much of his life was spent patching up people who had been injured by their own or others’ drinking. He wasn’t an abstainer. He’d come home after working ten or twelve hours and have a beer. One beer. Moderation was the lesson. I’ve just had my glass of red wine. I don’t abstain either. But I’ve learned Dad’s lesson, that alcohol causes a lot more problems than it solves. It can be one of life’s small pleasures or it can be a curse, depending on how you use it. I’ve had more than enough experience with drunks….all the days of the year. my family had their problems, and I have seen the personal damage that can be done. That being said, I drink about 6 cans of beer a YEAR. Thank god for this wisdon to not follow in the footsteps of my family.